We will make any fitting, valve, or custom piece. We have machines ranging from 2 to 9 axis. We have over 15 machines at our location and are ready and available to take your orders. Our average turnaround time is about 1 month from start to finish, however we could speed that up to a couple of weeks if needed. We have a optical comparator to check and inspect the customer specifications of all our products we make. We make products from materials including 300 series stainless, 400 series stainless, hastalloy, monel, all kinds of plastics, 360 brass, aluminum (7075 aircraft grade down to 6061). 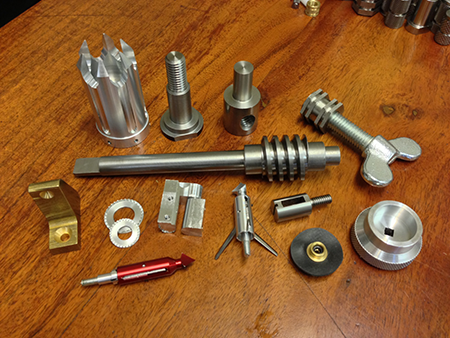 Most of our fittings are custom made for specific projects.